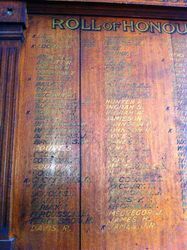 The wooden honour roll commemorates staff and pupils of the school who served in World War One. 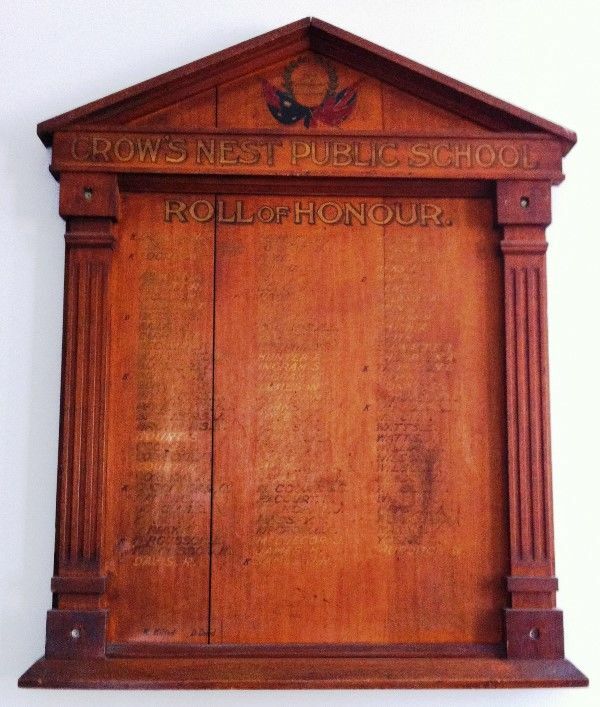 The official unveiling of the roll of honour took place in the Crow`s Nest Public School yesterday, the unveiling being performed by Mr. A.G. James, Minister for Public Instruction. 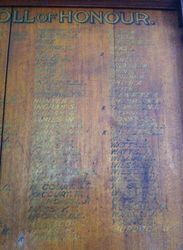 Evening News (Sydney), 10 February 1917.